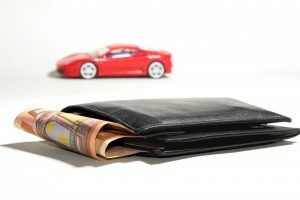 Getting Car Title Loans in Phoenix: What Do You Need? How to Get Car Title Loans in Phoenix? Getting a car title loans in Phoenix is much easier than you think. An auto title loan is a loan made against the equity in a vehicle that you own. If you own a vehicle, like a car, truck, or motorcycle, and the title shows that you own it, you may be able to easily borrow against the equity in the vehicle and get a same-day car title cash loan. It’s as simple as that! Do you live in one of these states – Arizona or California? Do you own a car, truck, motorcycle, or RV? Do you have the Certificate of Title for that vehicle? Do you have a Government Issued ID? If you answered yes to all of the above questions you can fill out our quick application form to begin the lending process. Why choose Tio Rico Te Ayuda? Now that you know how easy getting a car title loan is, find out why Tio Rico Te Ayuda is the place to get car title loans Phoenix residents trust. We offer loan approvals in 30 minutes or less. Our customers love our flexible payment plans – we can set up bi-weekly, semi-monthly, or monthly payments. In most cases no insurance is required. Now, what are you waiting for? Contact us, visit one of our many Phoenix locations, or apply online to get started.